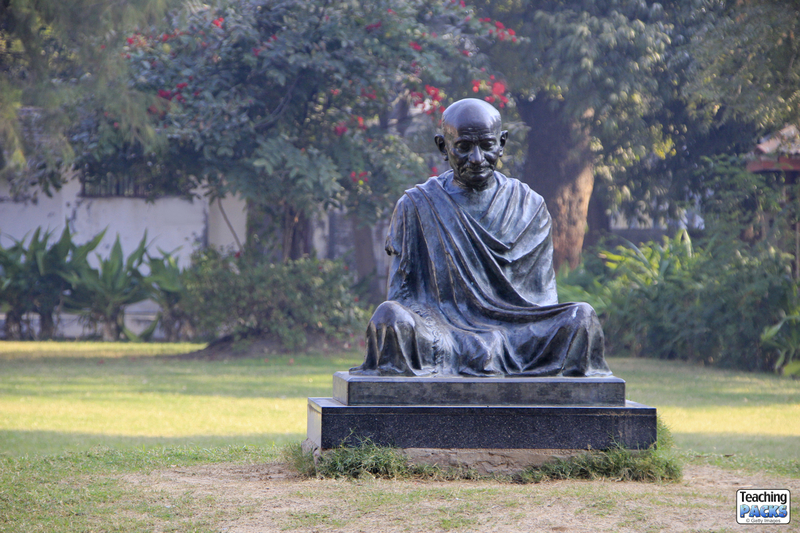 This statue of Gandhi is in the grounds of his home, Sabarmati Ashram, Ahmedabad, Gujarat, India. Research and write a biography of Gandhi – this site is a good starting point. Why is the figure sitting? Why has it been placed in a garden? Why has the sculptor chosen that pose? If you could ask Gandhi a question, what would it be? Make a comic strip of Gandhi’s life. The quote “Be the change you want to see in the world” is often credited to Gandhi. What does that quote mean to you? Gandhi was a Hindu and he put his beliefs into practice. Research the main beliefs of Hinduism and write a few paragraphs about them.